Large Lincoln Beach home with dual living and only steps to beach access. 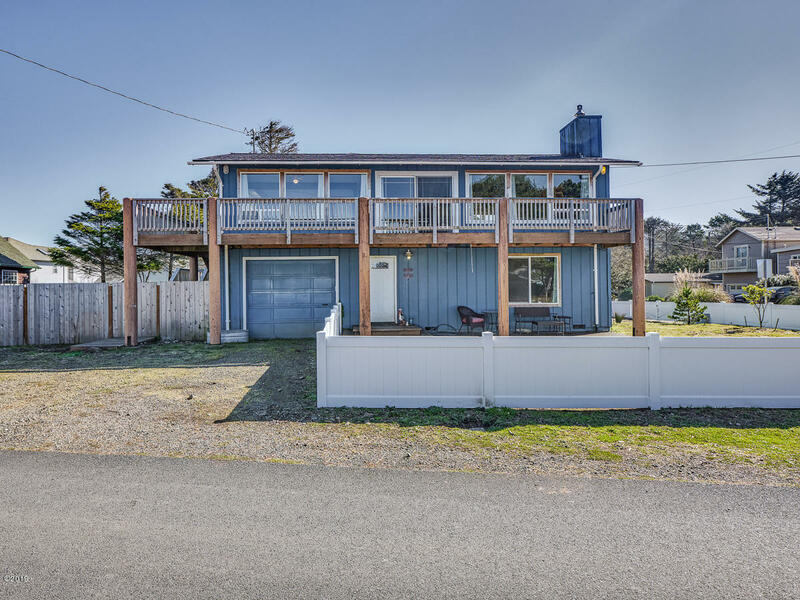 Upper level has great room with gas fireplace, open kitchen and two bedrooms, along with large deck with views of the Pacific Ocean and wind-protected back deck. Wall to wall, west facing windows for lots of natural light. The floor plan is ideal for entertaining, and the lower level living area allows guests their own private space. Lower level has own kitchen area, den, 2 bedrooms, 2 baths & utility room. 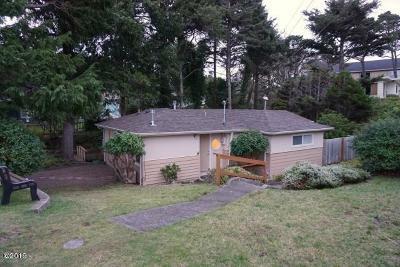 NEWER roof w/ warranty, UPDATED vinyl window throughout, NEW hot water heater. Large fenced yard on corner lot close to beach, grocery store, coffee shop, and bakery.